A comment to this article is available online at https://doi.org/10.1007/s00198-018-4615-5. We read with interest the recent article by Bergman et al. 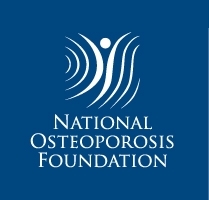 who confirmed in a nationwide cohort study that the use of bisphosphonate therapy for osteoporosis after a clinical fracture is associated with a lower risk of new fractures in older adults who are ≥ 50 years of age. This finding is important because it may provide important clues regarding bisphosphonate use associated with prevention of new fractures after a hip or vertebral fracture in clinical trials; however, we have several concerns. First, the sample size of DEXA scans was relatively small and is therefore of limited power, which may weaken the conclusion of this study. There are multiple possible confounders in the treatment group that could have accounted for the discrepancy and called for a larger study to specifically investigate the association between bone mineral density, biochemical markers of bone turnover, and fractures . 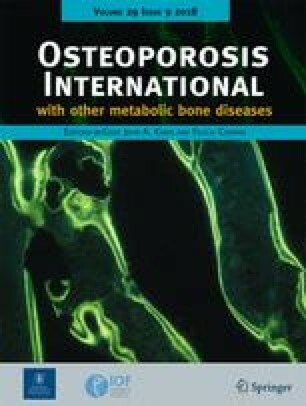 Second, oral bisphosphonates are commonly used agents in the treatment of osteoporosis and have been shown to reduce the risk of new fractures in some patients, such as those with osteoporosis; however, the anti-fracture efficacy of different bisphosphonates has some differences in the fracture prevention therapy for various physicochemical and biochemical features of bisphosphonates . Therefore, these differences are expected to take into account the clinical efficacy observed in the cohort studies. Moreover, other factors were not considered in the cohort study. Specifically, there are numerous factors that affect the risk of new fractures, such as muscle strength or physical performance and vitamin D status, which may play a role in subsequent fractures . Finally, although the literature suggests a low incidence of these atypical fractures in patients undergoing long-term bisphosphonate therapy, radiologic reports are of great help in understanding atypical fractures [5, 6]. We agree with the authors that further studies are needed.